You want to thank your business partners or to testify to your employees your gratitude for the work they have done throughout the year? Think about chocolate, a gift appreciated by everybody. To offer a Bruyerre chocolate is putting our luxurious chocolates, our craft know-how, and our experience in the service of your company and of the message you want to convey. We are listening to your requests and we propose you a gift that will respect your budget and your desires, let talk your imagination. 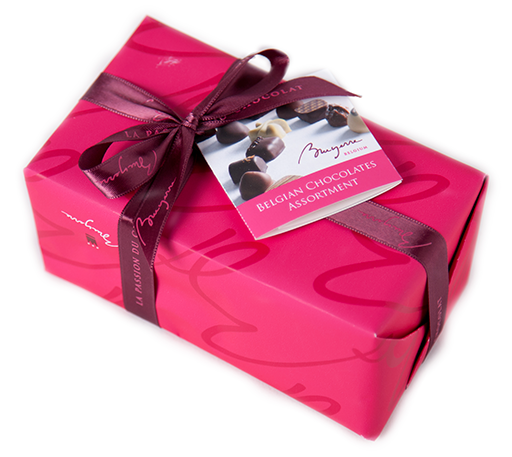 Wrapped box filled with an assortment of 100 grams of our best homemade chocolates.